The Martin Trust Center for MIT Entrepreneurship provides the expertise, support, and connections MIT students need to become effective entrepreneurs. The Trust Center serves all MIT students, across all schools, across all disciplines. The center, located in E40-160, is open to students 24/7 with state-of-the-art collaborative workspace, meeting rooms, videoconferencing, the ProtoWorks makerspace, and free coffee, granola bars, and ramen noodles to power the next generation of MIT entrepreneurs. MIT’s motto, “mens et manus” (mind and hand), is an integral part of MIT’s academic culture and the center’s broad array of entrepreneurship classes. These classes combine theory and practice to give students the opportunity to apply the skills they have learned within the curriculum. EIRs are based in the Trust Center and share their extensive entrepreneurial and executive experience in industry settings with students and teams who are looking to become entrepreneurs and foster ideas into successful companies. Professional Advisors are highly qualified industry experts and entrepreneurs located throughout the country who offer their time and expertise to provide later-stage guidance to MIT students in accordance with the honest broker policy. Sector Practice Leaders help to address the unique challenges different industries present to entrepreneurs. The program focuses on five different industries. Student leaders for each sector are selected through a competitive process to develop plans and implement comprehensive, integrated, and cutting-edge programs such as advanced classes, active student clubs, annual conferences, business plan contests, hackathons, regular social events, guest speakers, and more. MIT Launch is a four-week entrepreneurship program for high school students, teaching them the entrepreneurial skill set and mindset through starting real companies. 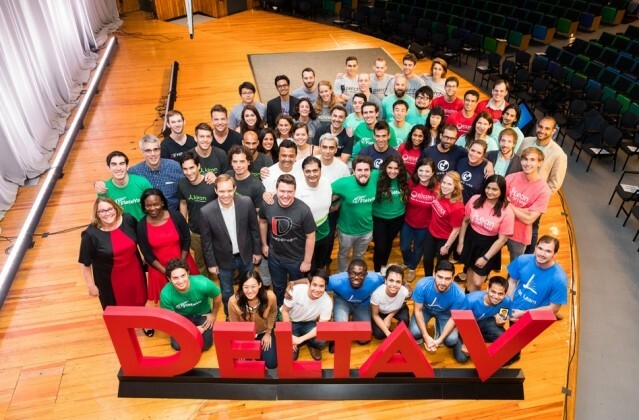 MIT delta v is an educational accelerator for MIT student entrepreneurs to help them accelerate their growth in building viable, sustainable ventures. The program is a capstone educational opportunity for MIT entrepreneurs before they launch into the real world. The Entrepreneurship Internship is a 10-week paid internship program designed for MIT undergraduates who want to try the experience of working at a startup full time.